Successfully Added Rear View Parking Camera - 4.3-Inch LCD Display, IP68 Waterproof, CMOS Sensor, 130-Degree Lens, For Truck, Car, Bus to your Shopping Cart. This compact rear view parking camera allows you to easily keep track of all what’s happening behind your car. The camera itself features a miniature size and can be easily installed into any type of vehicle. It comes with a 6m cable which allows you to use it in cars, buses, and trucks without any trouble. This parking camera comes along with a crisp 4.3-Inch LCD display for on your dashboard. On this screen, you’ll be able to see everything that’s going on behind your car or truck. Thanks to this, you never have to worry about accidentally bumping into something again when driving your car in reverse. 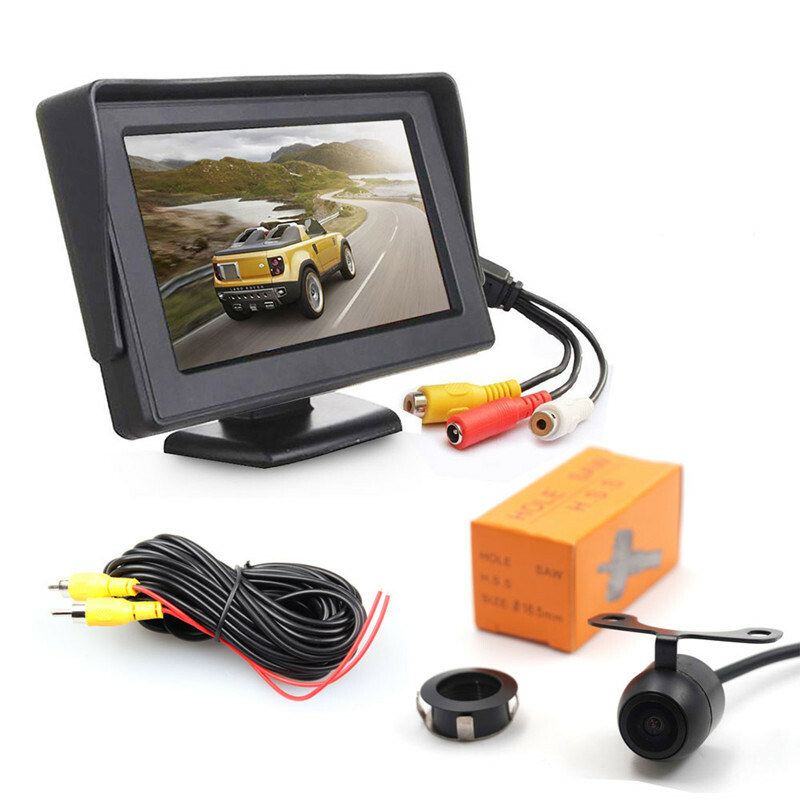 With its IP68 waterproof design; this rear view camera can be used in any type of weather condition. Whether it’s rainy, snowing, or dusty - this parking camera will do its job. It has been equipped with a CMOS sensor to treat you to clear visuals at any time. Thanks to its 130-degree viewing angle, you can be assured that nothing stays out of view for this parking camera. With this little car accessory at your side, you’ll significantly increase your own safety and that of others while driving your car. Thisrear view parking camera comes with a 12 months warranty, brought to you by the leader in electronic devices as well as wholesale car accessories..